- Scarring of the liver (cirrhosis). 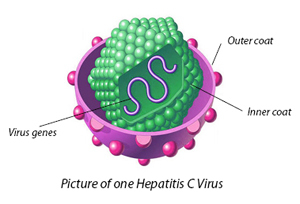 After 20 to 30 years of hepatitis C infection, cirrhosis may occur. Scarring in your liver makes it difficult for your liver to function. - Liver cancer. A small number of people with hepatitis C infection may develop liver cancer. - Liver failure. Advanced cirrhosis may cause your liver to stop functioning.